A lead-off hitter, Rick Sweeney hit line drives with adequate power and used the whole field to forge a .615 lifetime batting average with more than 350 home runs. Competing for The Lantern, a USSSA Class A team back when there was not an AA or Major program, Sweeney played the outfield alongside two other Illinois USSSA Hall of Fame inductees, Terry Mueller and Tom Spahn. They won the USSSA Class A State Title in 1976. Speed was Sweeney’s trademark; in his career he scored from second base on a fly ball 25 times. A two-time member of the USSSA Class A All-State team, he was named to the All-Tournament team at a USSSA-sanctioned event seven times. In 1971, The Lantern, a team made up entirely of players from the then small town of Naperville, finished fifth at the USSSA Class A World Tournament. Sweeney also played professional softball in the early-80s with the Chicago Storm. Nancy Stark-Shirley was a defensive mainstay who patrolled left-center field for her eight-year USSSA career. No one who knew her would try to run on her arm because they knew she would throw them out if they tried. She was a singles hitter who knew the value of moving the runners on base along to set the table for the big RBI hitters in the line-up. Stark Shirley was named to two USSSA All-Tournament teams at the 1981 USSSA Women’s Class A World Tournament in Hutchinson, Kansas and at the 1982 USSSA Women’s Class A NIT in Sheboygan, Wisconsin. Stark Shirley’s team never won a USSSA World Title (they did win the ASA Women’s Class A once), but they finished with the top teams five times, including two second place finishes in 1979 in Petersburg, Virginia and in 1981 in Hutchinson, Kansas. Her team also finished fourth at the USSSA Women’s World Tournament in 1980 in North Carolina. Her teams collected three USSSA Women’s Class A State Titles in Illinois. Stark Shirley was named Best Defensive Player at the 1982 USSSA NIT at Sunset Park in Geneva, Illinois. She also played co-rec softball as both an outfielder and as a first baseman. Stark Shirley’s teams included: Stroh’s Lassies, EDS, Precision Erectors and Scotties (co-rec). Pierre LaBounty’s softball career pre-dates the USSSA in the state of Illinois. It goes back to the very first park district league ever formed in Rockford back in 1961. He played USSSA softball for eight years until he retired from the game of slow pitch softball in 1981. His main position was pitching and he played for early Illinois USSSA teams such as Diamond Bar, RMA, Schlichting Construction, Pabsts and Country North. During his eight-year playing career, his teams went to eight USSSA State Tournaments and six USSSA World Tournaments. He was twice named MVP of a USSSA tournament and was also named to numerous USSSA All-Tournament teams. During his career, he played softball in 16 different states. LaBounty’s love of the game always made him give everything he had to his team in an effort to win. He loved to play against the best, so playing in the USSSA softball program was a natural fit for him. He believes the USSSA has always attracted the best teams in the Midwest to its tournament program throughout the year and especially on Labor Day weekend when the Divisional and World Tournaments are held. 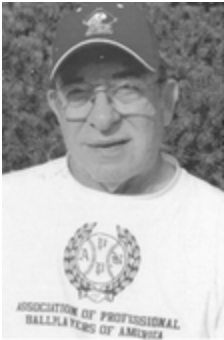 The Bible starts out with the words, “In the beginning…” USSSA softball in Rockford started out with Pierre LaBounty and has not been any worse off from that beginning. For the last 33 years, Charlie Baumgartner has been spending his summers patrolling the outfields of Illinois softball fields. Starting in 1972, Baumgartner has spent 22 of those years in the USSSA. Aside from the outfield, which is his self-proclaimed main position, Baumgartner has played second base and catcher, as well as some time on the mound. He has played on such top teams as the Lantern of Naperville, Oswego Inn, Sands of Ottawa and Plano Softball Club. Baumgartner, a player who could hit the ball to any field has hit for a career .650 lifetime batting average, but claims to have never hit a home run. The 1994 season had many great memories for Baumgartner, who was playing the 40 & Over Master’s program for the Plano Softball Club. They won the State Championship, but it almost didn’t happen according to Baumgartner. “In the 1994 Over 40 Master’s State Tournament, we gave up a seven-run lead in the top of the last inning, but then, in the bottom of the seventh, we scored three runs to beat the Foxes of Decatur to advance to the championship round, which we won,” Baumgartner said. Besides the satisfaction of the team victory and championship, it was also exciting for Baumgartner on a personal level. He had a very solid tournament at the plate going 20 for 25 and was rewarded by being named to the All State Tournament team. Softball can be a competitive way to escape the everyday grind and be with friends. This is something Baumgartner felt USSSA softball provided. 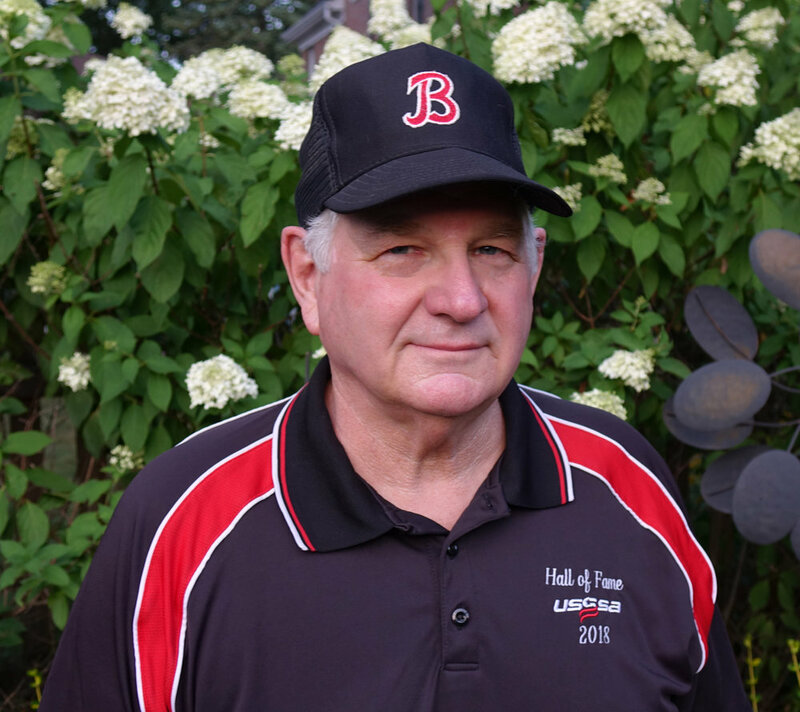 In honor of a true pioneer of Illinois softball, we honor Charlie Baumgartner by welcoming him into the Illinois USSSA Hall of Fame. Mark, nicknamed “Ralph” participated with the Shamrocks from 1970 thru 1984. The first baseman swatted numerous homeruns, while posting an outstanding .650 career batting average. He was a key member of one of the finest softball teams ever to play the game in southern Illinois. The Shamrocks were a very unselfish team that didn’t keep statistics and only kept a scorebook when required to do so. Mark was a huge part of the Shamrock team that was instrumental in bringing USSSA to Red Bud so many years ago. He recalls that the team’s participation in the USSSA was the best and we always competed very well, while having a terrific time playing together.